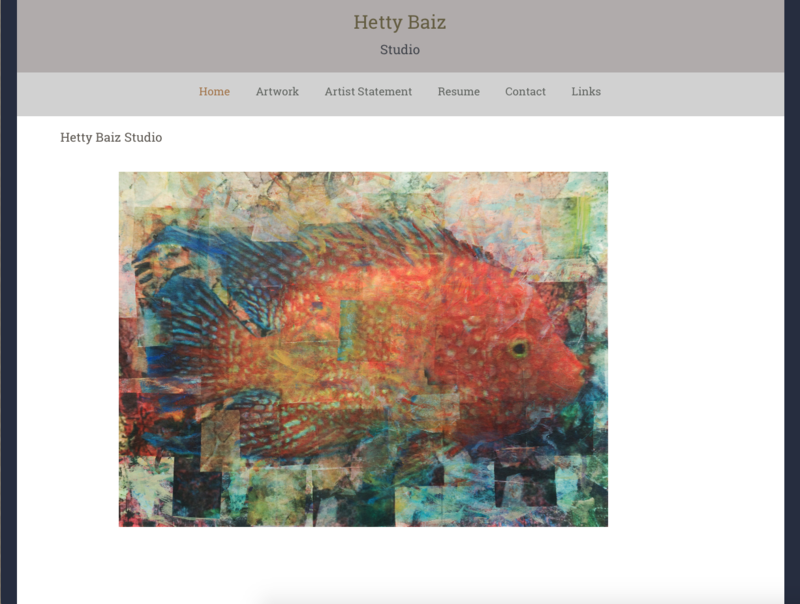 Hetty Baiz contacted us to ask for some help with the design of her site and with setting up her shopping cart so she could sell her (already very popular) work using our e-commerce suite. We love her work, so we were glad to help out. We chose one of the newer Florence templates, because her work is so strong and graphic that it worked well occupying most of the frame. 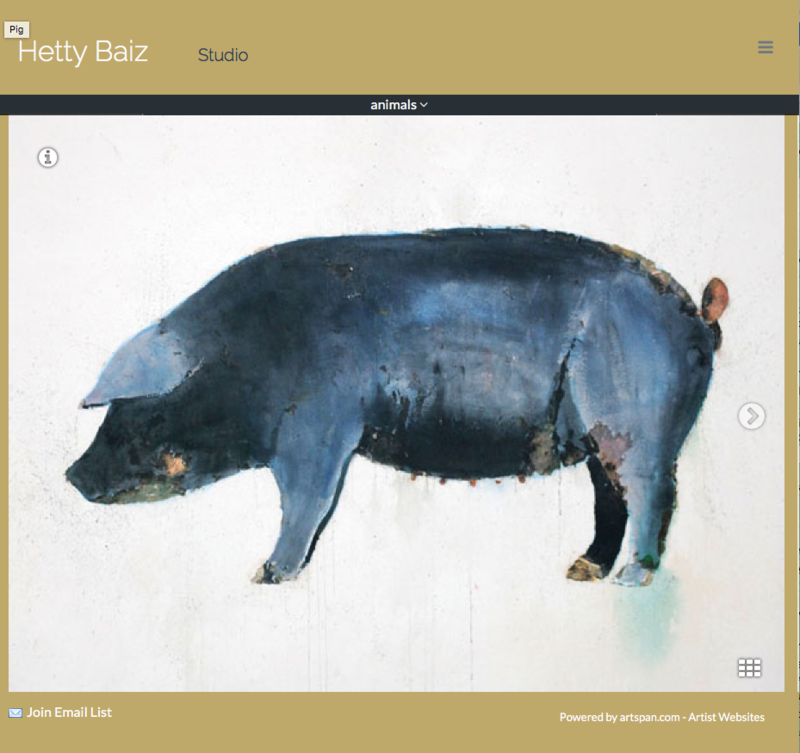 We chose colors to complement Baiz's work, and simple fonts that looked sophisticated but didn't distract from the work itself.